Brazil is the world’s second-largest African nation, but just elected an outright rightwing racist as president. It can't be good for the continent. President-elect of Brazil, Jair Bolsonaro. Image credit Geraldo Magela via Agência Senado Flickr. As the country with the largest Afro-descendent population—53 percent of Brazil’s total population of 210 million—Brazil has always attached particular importance to Africa. Brazil both embraces and represses its African heritage. The official ideology of “racial democracy”—the idea that all Brazilians descend from miscegenation and that racism as such cannot exist—operates with the reality of social exclusion and brutal violence that the country’s Afro-descendent population disproportionately suffer. With the election of Jair Bolsonaro, an avowed racist who promises to unleash a wave of violence to “clean up the country” that will see thousands of black Brazilians murdered by security forces, it is worth examining what Bolsonaro will mean for Africa both culturally and politically and what Africa means for Bolsonaro. Brazil is defined by a particular type of “informal apartheid.” Although official legal racism did not exist in the same way it did in South Africa and the United States, Brazilian society continues to be defined by a system of social exclusion in which the poorer and blacker sections of the population are kept in line through force and excluded from the public sphere. Young Afro-descendant Brazilian men form the majority of the 64,000 persons murdered last year, particularly, the 5,000 of whom were killed by the police. Police violence has always been employed as a tool by Brazil’s elite to keep the population in line, especially the Afro-descended. Following 14 years of center-left governance that sought to expand social citizenship, Bolsonaro represents the return of reactionary racist elites to power. His supporters include those who view Afro-Brazilian cultural expressions as an embarrassment, who view Brazil’s African heritage as a cultural and genetic defect and who openly fantasize about a Brazil without “samba, Caipirinha and Carnival.” The desire of many on the right to “Americanize” Brazil (by which they mean remaking it into a white American, rabid capitalist country) is based partly in a sense of shame and hatred of Brazil’s African heritage. Beyond what lays in wait for Afro-descendant Brazilians with the election of Bolsonaro, what does his victory mean for Africa? Until the election of Lula da Silva in 2002, social mobility was very limited in Brazil. Lula himself hailed from Brazil’s Northeast and from a population group regarded as second class citizens in the richer more prosperous south-east and south of the country where he moved as a child. He rose to power in an era after military dictatorship—which afforded more space to social and political institutions, such as unions to mobilize. Yet, historically, access to resources, wealth and the state was mediated through “the favor” or a personal appeal to elites to intervene on behalf of the lower classes. In this way personal relationships rather than institutions have functioned as a means of control throughout Brazil. One of the legacies of the Worker’s Party (PT) time in government was their expansion of social citizenship through the introduction of quotas at Brazil’s elite universities, and rapidly expanding access to higher education through the construction of new federal universities in the poorest regions of the country. Afro-descendents excluded from the public sphere became an increasingly prominent and confident presence in public life, politics, media and academia. Of the few stories to cheer during this election were the successful campaigns of numerous black women following the murder of the black socialist Rio city councillor Marielle Franco in March 2018. The reactionary tide that swept Bolsonaro to power can be partially explained by backlash of the upper middle class to this broadening of social citizenship. Under Lula, Brazil became a respected international actor and the foreign policy of his and his successor Dilma Rousseff’s governments paid particular attention to Africa. By the end of Lula’s second term Brazil had 37 diplomatic mission in Africa the most after the United States, France, Russia and China, while Brazil’s African trade rose from $4 Billion to $24 Billion. Brazil played a leading role in the establishment in 2009 of the BRICS (Brazil, Russia, India, China and South Africa), the association of five large, very powerful emerging economies. This went beyond South-South rhetoric and included efforts at diplomacy and the promotion of the expansion of Brazilian business interests on the continent. While some of these activities, especially the promotion of Brazilian construction giant Oderbrecht’s interests in Angola involved corruption, both in Brazil and Angola, these moves should not be viewed as solely opportunistic partnership between capital and the state to drive foreign policy. Rather, they were expressions of the PT’s developmental model, which involved the promotion of Brazilian capital abroad and the expansion of Brazil’s presence in new regions, even in in places where Brazil lacked diplomatic infrastructure. Lula also motivated the study of African history and culture in general (a rich exchange between writers from the continent and Brazil was one result) and of Brazil’s African descended population. Africa-focused universities brought African and Africanist academics and students together with Brazilian professors and students to promote Africa-centered curricula and research. What will Bolsonaro do in Africa? Bolsonaro, who seeks to undo the entirety of the PT’s legacy in power, will likely seek to do the same with Brazil’s foreign policy. 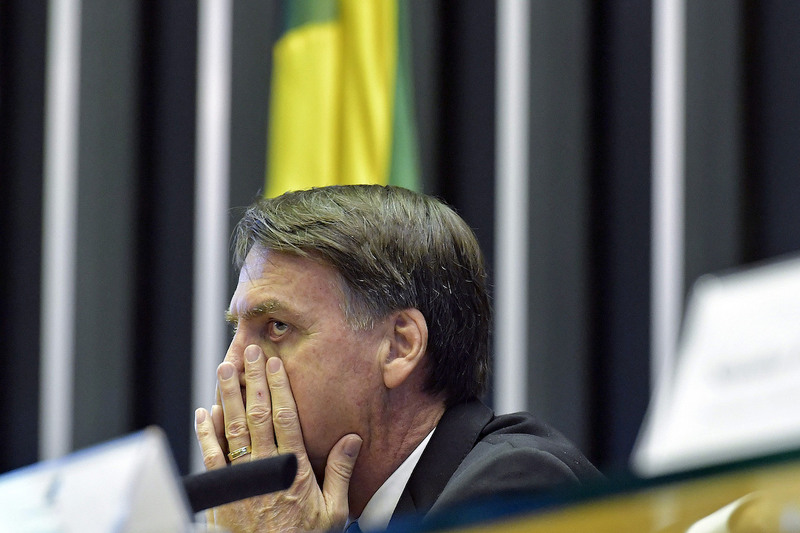 Bolsonaro denounced the PT’s foreign policy for years as being “driven by the leftist ideology of the Workers’ Party.” In concrete terms this means a repudiation of the multilateralism promoted by the PT in favor of a new America-centric bilateralism. For example, Bolsonaro famously declared: “If I’m elected president, I will leave the UN.” His victory signals Brazil’s membership of the international club of rightwing demagogues who reject international law and human rights, sharing the table with Trump, Netanyhu, Duterte, Modi and Erdogan. Bolsonaro’s vision of Brazilian power is a depraved reboot of the Cold War, in which Brazil will join Trump and Netanyahu in standing up to the “globalists” seeking to spread cultural Marxism. For Africa this means ignorance and neglect (in Latin America, Brazil will play an active reactionary role). Bolsonaro will continue with the course set by his illegitimate predecessor Michel Temer—the most unpopular leader in the history of polling. Temer, who seized power in a constitutional coup against Rousseff, had a foreign policy that was as much as a disaster as the rest of his government. Famously, Temer’s Foreign Minister José Serra was unable to name all the members of BRICS when asked by a journalist at his first press conference. 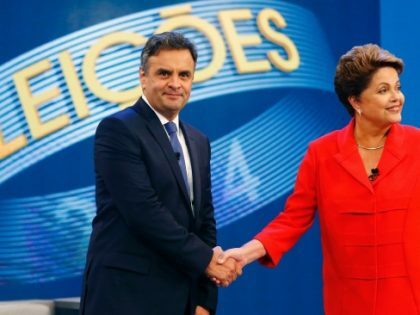 The traditional oligarchical elite of Brazil has always been uninterested in the rest of the world, caring little for even the rhetoric of Brazilian international power. During his two disastrous years in power Temer, besides attempting to undermine Venezuela and sucking up to foreign capital, neglected, ignored or attempted to reverse the foreign policy gains made under Lula. At the very least we can expect more of this from Bolsonaro, whose anti-African racism is more explicit that the oligarchs and gangsters who formed the Temer government. For instance, during the campaign Bolsonaro remarked about Brazil’s legacy of slavery: “What debt of slavery? I never enslaved anyone in my life… Look, if you really look at history, the Portuguese didn’t even step foot in Africa. The blacks themselves turned over the slaves.” Another highlight was a piece of fake news spread by Bolsonaro’s weaponized Whatsapp operation, claiming the PT’s electoral campaign was funded by the “dictator of Africa.” The neglect in Africa stems in part from the racist repudiation or distancing from Brazil’s African heritage outlined earlier and the idea that Brazil is fundamentally part of the “West” or “Global North” rather than Global South. As such, the South-South co-operation rhetoric of the PT is seen as an expression of backwardness, globalism or even communism. Bolsonaro is a creature birthed and reared by the worst elements of Brazil’s dictatorship, which governed from 1964 to 1985. However, Bolsonaro is best understood in terms of how he differs from the generals, who sought to promote themselves as merely non-ideological bureaucrats working for the national interest. Bolsonaro openly embraces torture and extrajudicial murder as heroic and good rather than necessary evils in the fight against communism. While the 1964 military coup was supported by the United States, and in most part Brazil was a loyal ally in the Cold War playing a key role in such low points as Operation Condor (the US funded program to undermine democracy in South America), the dictatorship at least had a vision of Brazil as an independent power. This included an expanded role for Brazil in Africa, particularly in Lusophone Africa; Brazil for instance was the first country to recognize Angolan and Mozambican independence and while it would be a stretch to say it played a major role in the anti-Apartheid movement, it did condemn Apartheid South Africa. By contrast, the dictatorships in neighboring Argentina and Chile enjoyed close relations with the pariah state. Bolsonaro on the other hand seems to lack an independent foreign policy vision or indeed much of a political vision beyond shooting his way through Brazil’s political and economic crisis. More than Bolsonaro’s “Africa policy,” are the several lessons about contemporary global politics and populism to be drawn from Bolsonaro’s election. Keeping in mind the significant differences between Brazil and most African countries, Bolsonaro’s brand of “shoot your way through your problems” politics has resonance. Nostalgia for a mythologized dictatorial (recent) past, where everyone knew their places and those who didn’t were forcibly corrected, already played a role in Nigeria’s last election, where the country elected its former military dictator Muhammadu Buhari on a anti-corruption platform. Some Nigerian voters had nostalgia for Buhari’s mid-1980s rule when soldiers would go around “with whips to enforce traffic regulations and ensure commuters formed orderly queues at bus stops. Civil servants arriving late to offices were forced to perform frog squats.” The regime also imprisoned more than 500 high profile people on charges of corruption, and drug traffickers were executed. This was coupled with the arrest and indefinite detention without trial of dissidents and Buhari’s critics. Yet, as elected president, Buhari proved ineffective. His government has been characterized by inaction (he has failed to solve the economic problems and ensure people’s safety) and his military—notorious for abuses against civilians—serves the US’s “War on Terror” aims in the region. The second lesson from Brazil is the growing political power of evangelical churches. Perhaps the key factor in Bolsonaro’s victory was the support of Brazil’s rapidly growing evangelical population, who overwhelmingly voted for him. Brazil’s powerful and growing evangelical bloc moved to endorse him in the last week of the first round of the election. Its media outlets promoted him and churches served as mobilizing points. Of particular importance was the support of the “Billionaire Bishop,” Edir Macedo. Macedo’s church, The Universal Church of God, is expanding across the African continent. (Incidentally, the church has had run ins with authorities in Angola, Madagascar and Zambia.) 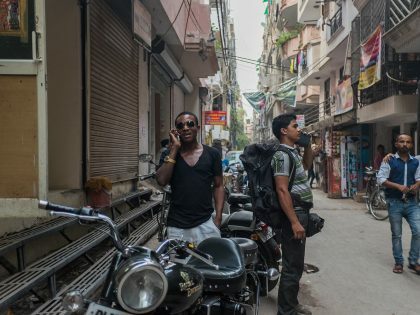 Across much of the Third World evangelical Christianity is a growing political force finding roots in both the desperate who seek salvation in the next life in lieu of a lack of opportunities or political options in this one, and a new middle class who is drawn to the “Jesus wants you to be rich” prosperity gospel. Whether in Nigeria or South Africa, it plays increasing roles in politics. Evangelicals are not merely a religious group. They are well organized politically, well funded and a powerful international social movement that has organized a political bloc promoting anti-gay, anti-women and anti-abortion policies. An example of the power of Brazilian evangelicals can be found in the Escola Sem Partido (School without Party) movement, which promotes itself as a non-ideological movement concerned with the ideological indoctrination of Brazilian school children by leftist teachers. In actuality it seeks to undermine critical thinking and the study of history promoting instead a evangelical anti-gay curriculum that celebrates the dictatorship and creationism. Escola Sem Partido had a welcome candidate in Bolsonaro. 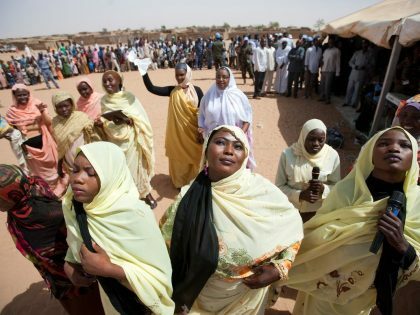 In Africa, scapegoating homosexuality or feminism and violent crackdowns LGBTQ are used to channel or distract popular anger away from governance failures. Uganda and more recently Tanzania are examples. Meanwhile, South Africa’s evangelical movement is burgeoning, with more than a quarter of the population subscribing in some way. Leading politicians of all parties and political ideologies belong to evangelical churches, and the particular evangelical variant of public godliness is increasingly common in South African politics. However, the evangelicals have yet to really construct a political bloc. It is rather easy to imagine the formation of an evangelical bloc organized around social issues becoming a powerful political force in the near future.